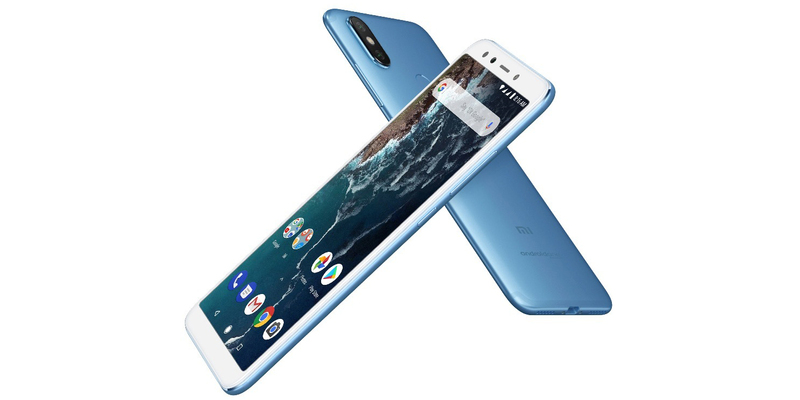 Xiaomi has announced two new smartphones for the European market- the Mi A2 and the Mi A2 Lite - which run a near-stock version of Android. Both devices will be available in 40 markets in Europe. The Xiaomi Mi A2 features a 5.99 inch display with a 2160x1080 pixel resolution, dual (20MP+12MP) rear cameras, a 20MP front camera, a 3000mAh battery and a Snapdragon 660 processor. The 32GB and 64GB storage variants come with 4GB of RAM, while the 128GB storage variant has 6GB of RAM. The cheaper configuration is priced at €249 (roughly $291), while the most expensive model with 6GB RAM with cost around €349 (roughly $408). With Android One, you get Google's mobile OS in its purest form, without the (iOS inspired) MIUI ROM that Xiaomi phones are known for. Both Xiaomi phones should be getting timely software and security updates through Android One prioritizing performance and stability over bloated software features which don't appeal to all users. The Xiaomi Mi A2 will be available in the following European markets: Belarus, Bulgaria, Czech Republic, France, Greece, Hungary, Italy, Poland, Romania, Russia, Slovakia, Spain, Turkey and Ukraine. It's also coming to Colombia and Mexico (no word on North America) and a variety of markets in the Middle East, Africa and Asia Pacific, including Egypt, India, Hong Kong, Philippines, Saudi Arabia, Singapore, Thailand, and the UAE.